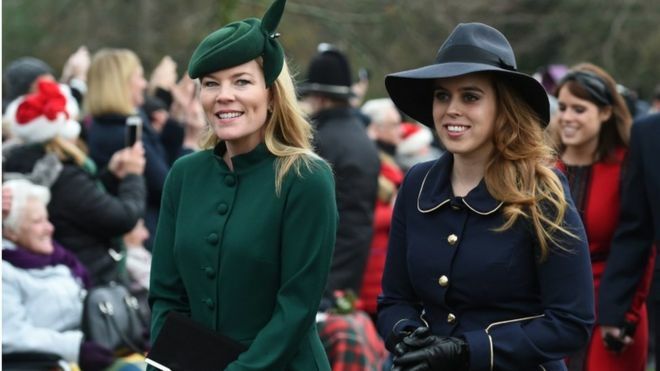 The Royal Family have greeted hundreds of well-wishers after attending the Christmas Day church service at Sandringham. 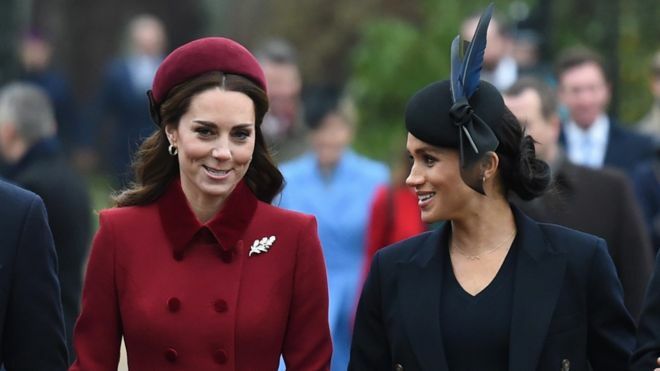 The Duke and Duchess of Cambridge and the Duke and Duchess of Sussex were all smiles as they left the service on the Queen’s estate in Norfolk. 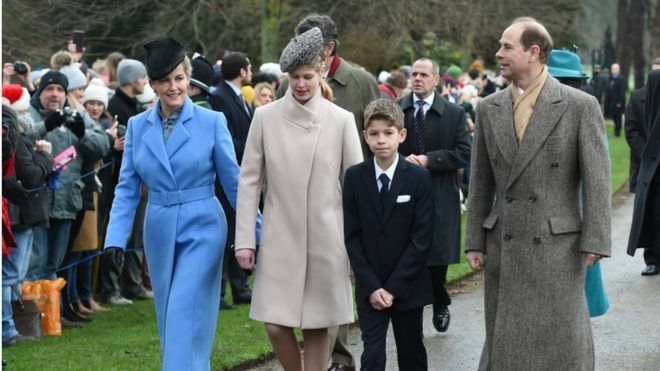 Prince Charles attended but the Duchess of Cornwall missed church due to a heavy cold. The Duke of Edinburgh also stayed home – but is said to be in good health. Catherine and Meghan, who is pregnant with her and Prince Harry’s first child, walked side by side to church, chatting and smiling. The pair have been the subject of media reports of a rift. Many of those gathered had brought bouquets of flowers and called out “Merry Christmas” as the royal party went past. 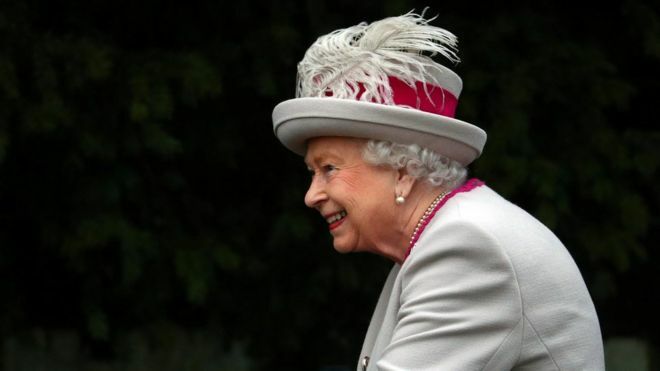 There were huge cheers from the crowd when the royal family arrived for the morning’s church service – especially for the Queen. 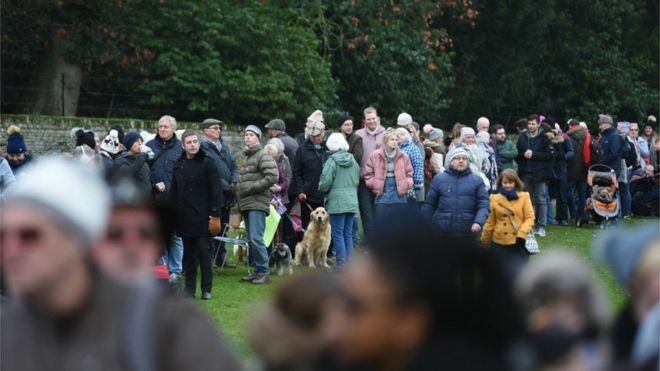 The queen was driven there by a chauffeur while the rest of the family walked up and greeted people when they went past. Some well wishers were waving Stars and Stripes flags for the Duchess of Sussex. Despite newspaper reports about rifts and rivalry, the royals looked happy and relaxed with Princes William and Harry and their wives walking into church together. 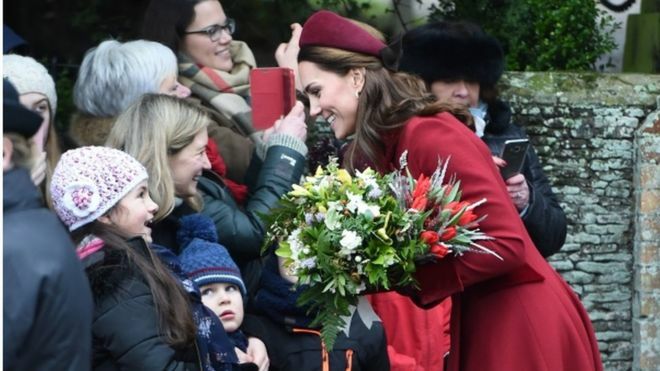 Afterwards the Duchess of Cambridge told one member of the crowd that like many parents her children had woken her very early on Christmas morning. After the service, Meghan hugged one of her former Instagram followers, who she spotted in the crowd. 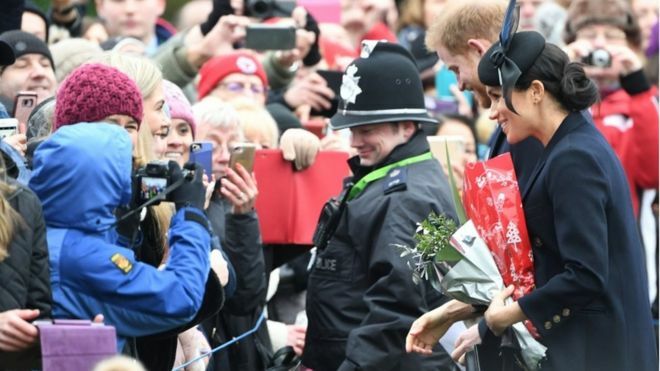 Jessica Daniels, 17, from Peterborough, said it was an “amazing” experience to meet the duchess, who she’d been following since watching her on TV’s Suits. “There were a group of us girls on social media she became kind of close with and interacted a lot online. 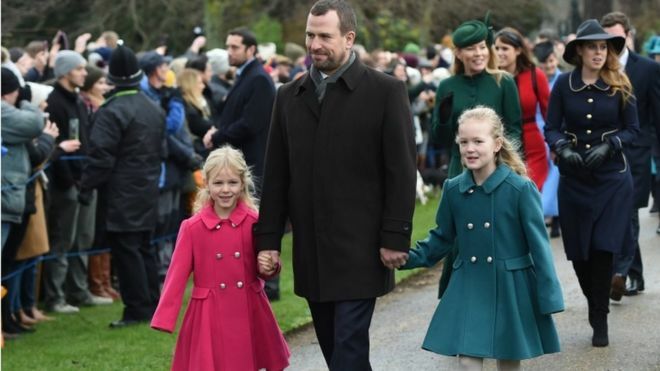 The son of the Princess Royal, Peter Phillips, arrived with his daughters Savannah and Isla, followed by Princess Beatrice and Peter’s wife Autumn Phillips. 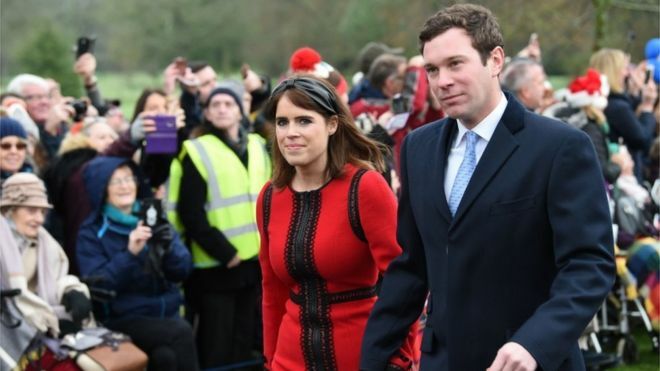 Behind them were Princess Eugenie and her husband Jack Brooksbank; the Earl and Countess of Wessex with their children, Lady Louise Windsor and Viscount Severn; and Princess Anne and Vice Admiral Sir Tim Laurence, and Zara and Mike Tindall. Tariro, aged seven, got up at 3:00 GMT to get a good view of the royals arriving. Speaking to the BBC, she said the Queen was her favourite because “she is always wearing the crown with beautiful jewels”. Her twin sister Tatenda said she was looking forward to seeing the Duchess of Sussex whose “elegant dresses” she admired.